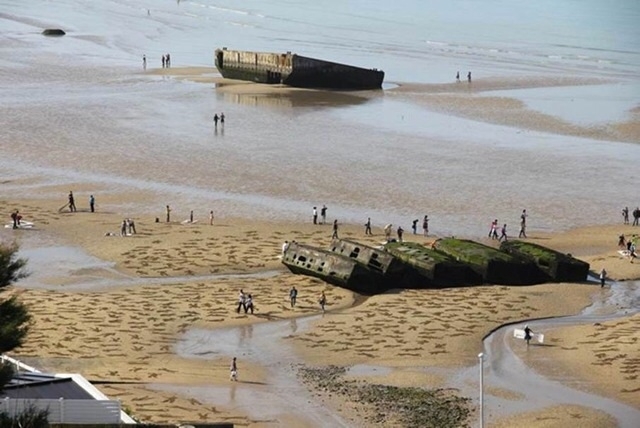 Today was D (departure) – Day for us and D – Day for thousands of brave men and women 70 years ago when the Allied Forces invaded the beaches of Normandy, France. I was hesitant to use the term but decided to use it as my way of thanking all our country’s veterans. We pushed off the dock at Centerpointe Yacht Service at 5:15 and passed under the Maple / Oregon St. bridge , soon to be followed by the Bayview bridge, and then the open waters of Lake Michigan. Halleluyah!! We have been busting our butts getting ready to make this trip. First day destination, Frankfurt, MI. Approximately 55 miles. One hour in a car, between 8 – 14 in a sail boat, depending upon the weather and sailing skills. The wind was from the south and varied from 10 – 20 kts. the remainder of the day. It was a great sail. We had to trim the sails just a couple times. What did we not expect? IT WAS COLD. I hate sailing with a dodger but we hid behind it the entire sail. We were bundled in our foulies and were still a little uncomfortable. Poor babies. We anchored in Lake Betsie, had a fish fry at Dinghy’s (saw the worlds largest brown trout caught on 10 lb. test line)and retired to the boat. Tomorrow, So. Manitou Island. 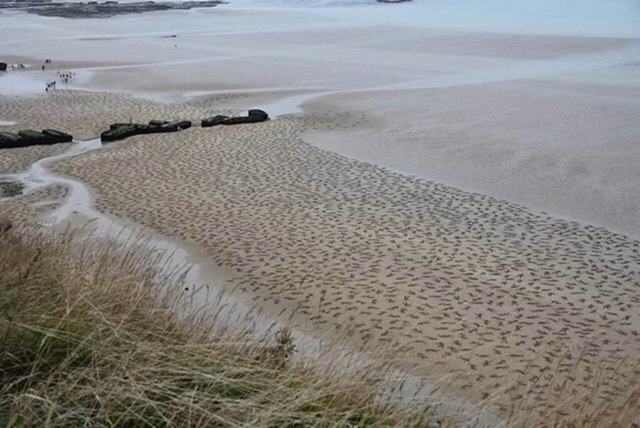 Todays Reflection: I couldn’t help but think of the brave men that invaded the beaches of Normandy, France seventy years ago. I was in the service but not at this level of commitment. The beach landing in the movie Saving Private Ryan is horrifying but not even close to the reality of actually being there. These men and women should be treated like royalty, no matter the cost. 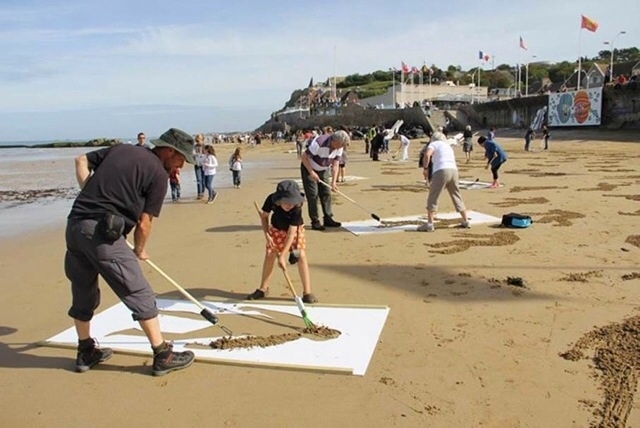 In France, a group of citizens actually raked images of bodies in the sand from premade patterns. The pictures tell the story better than I can. I apologize for the delay in entering my side of the journey. I have been so enjoying the trip I forget to enter it into the blog. I make notes every day but don’t publish.